’tis the Season to go shopping . . . .
Do you have your Christmas shopping done yet? Do you exchange gifts with co-workers? I like to give co-workers a little sweet treat this time of year. Since we are often feeling a little extra stress this time of year, it only makes sense to give your stressed out friends something from teachers’ 3 favorite food groups: salty, sweet, and chocolate. I personally don’t care for chocolate so I use white chocolate or almond bark. If you are a chocolate lover, you can use traditional chocolate. 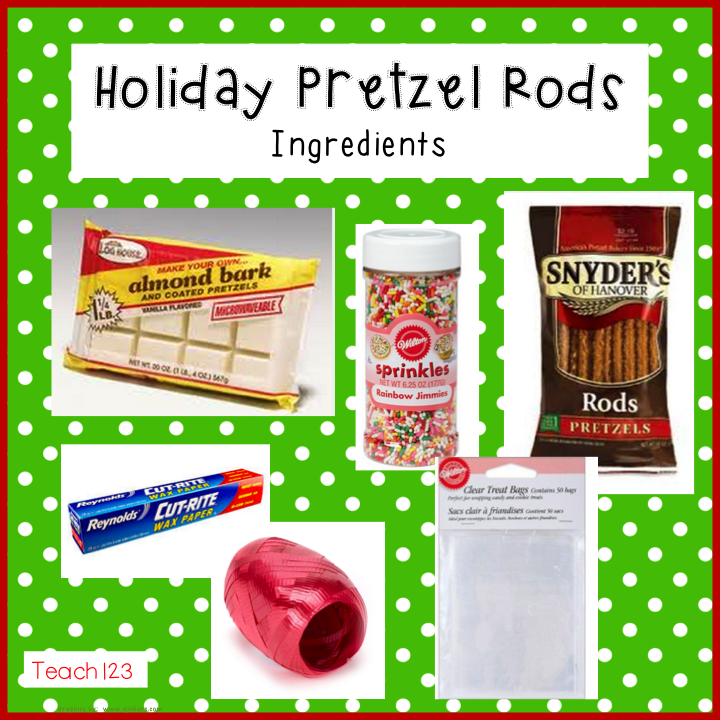 I love to give my friends Holiday Pretzel Rods. There are only a few ingredients. It doesn’t take very long to make them and your friends will love them! 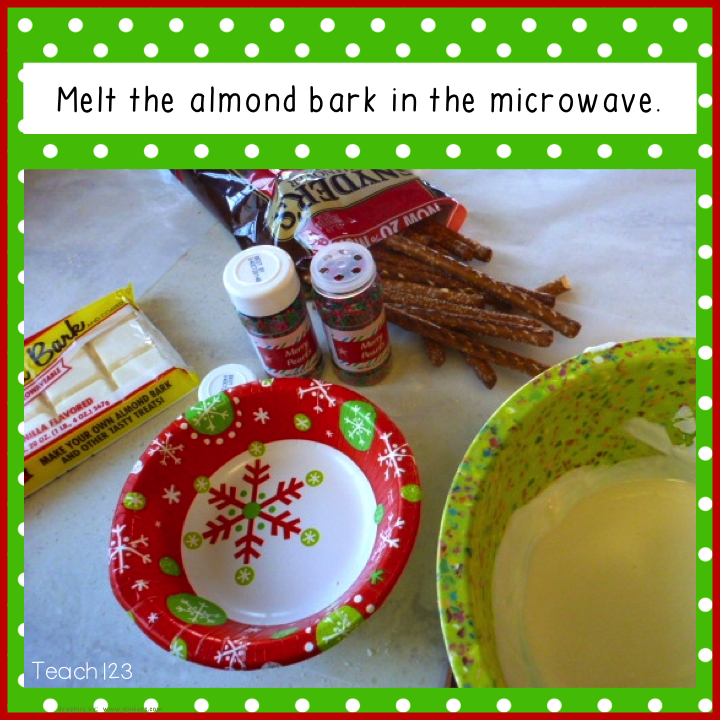 First, melt the almond bark. You can melt it on the stove top or microwave. If you are using a microwave, use a deep bowl. I have found that microwaves vary a lot! So, start with a couple of minutes. If it is not melted, keep adding time until it is smooth and creamy. 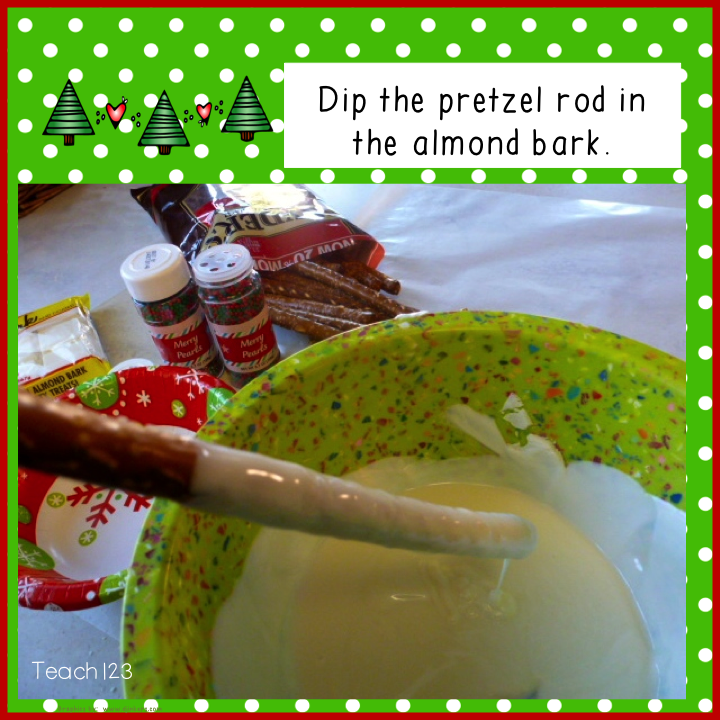 Dip your pretzel rod in bowl and spoon more on top until the bottom 3/4 is covered. You will need to let it drip for a minute or so. 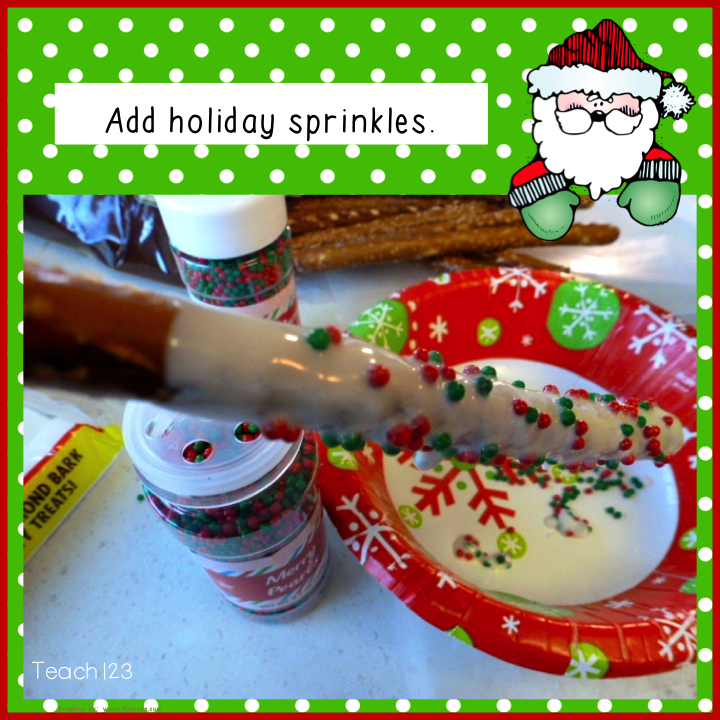 Hold the dipped pretzel rod over a small bowl and sprinkle with holiday sprinkles. The great thing about this treat is you can change the color of the sprinkles with the seasons. 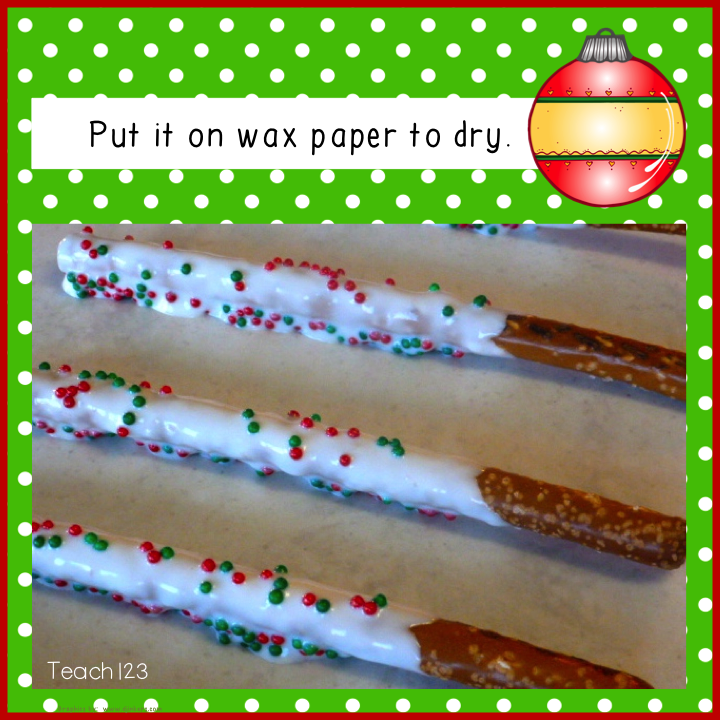 Put the pretzel rods on wax paper to dry. If you are giving these as individual gifts, you can put them in clear treat bags. It is very easy to differentiate (there’s a teacher word for you!) this if you have teacher friends who celebrate different holidays. Use different sprinkles and use different colored ribbon on their treat bag. AAre you looking for Celebration Around the World ideas? This Pinterest board is full of fun stuff! I love this idea! How cute and easy?! I am definitely going to do this for my teammates! Thanks for the idea! These are delicious, I never knew how easy they were to make!